Check out this podcast from our time on Kent State's Black Squirrel Radio! 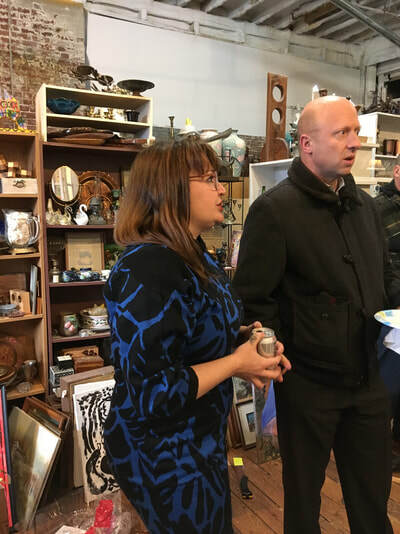 You can hear from our co-founders Christopher Dum and Halle Neiderman, volunteer Bengt George, and writing group participants Damaris Bell and Wesley Dirmeyer. Ascolta "Writer's Blockcast - Episode 5" su Spreaker. 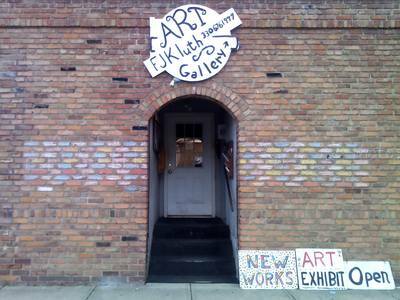 The Inkubator literary arts festival is an annual series of events organized by Literary Cleveland. 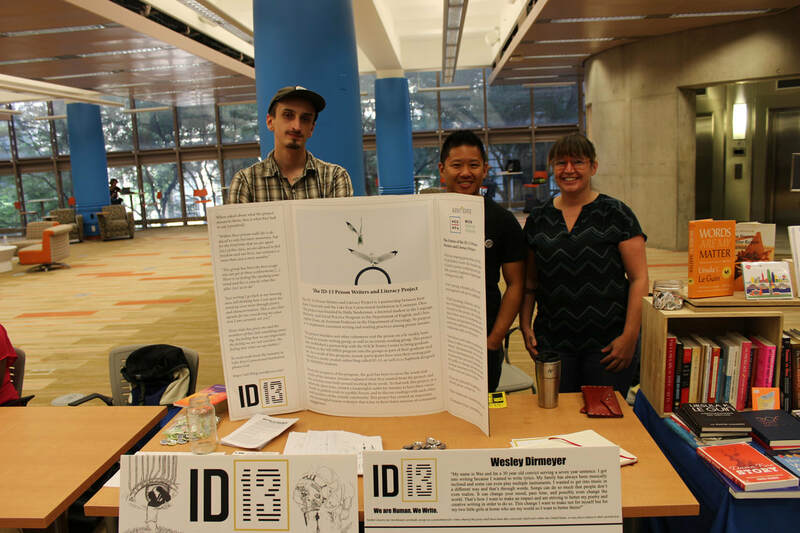 We were happy to get involved this year, in both the main conference at the public library and a smaller reading that took place in a local brewery. We're always looking for ways to get the writing group's work out there, and it's even better when we meet new folks and organizations to work with in Northeast Ohio! 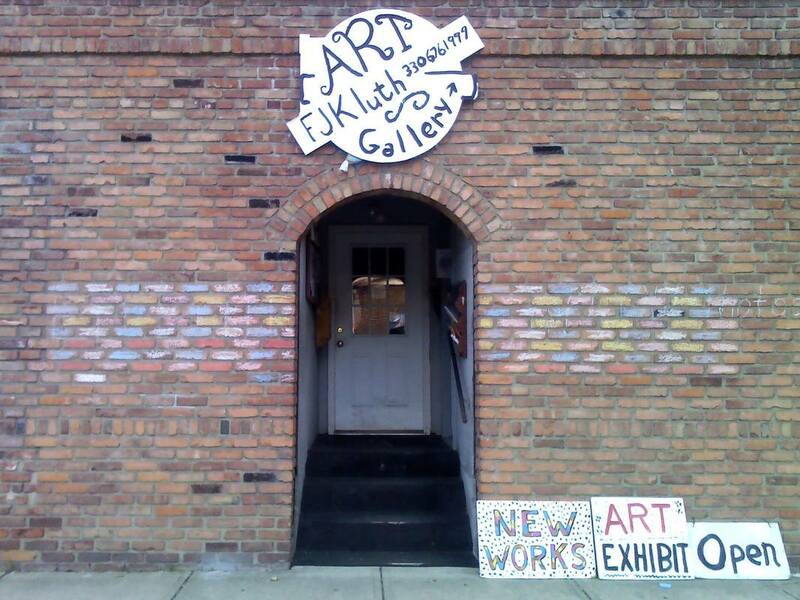 Check out Literary Cleveland's recap of the festival on their website here. 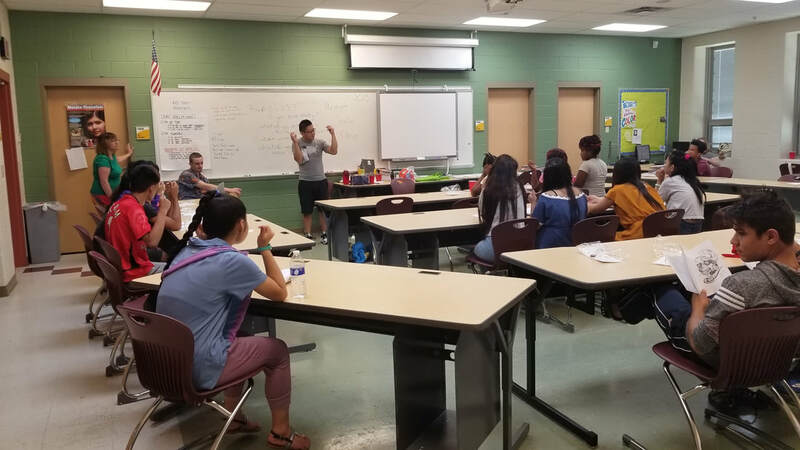 Last month we spent a day with teens in the International Community Empowerment Project (ICEP) summer program. ICEP is one of Asian Services in Action's (ASIA) projects which "aims to better educate and socialize" immigrant youth through engagement with a wide variety of people and organizations in their communities. You can read more about this project here. 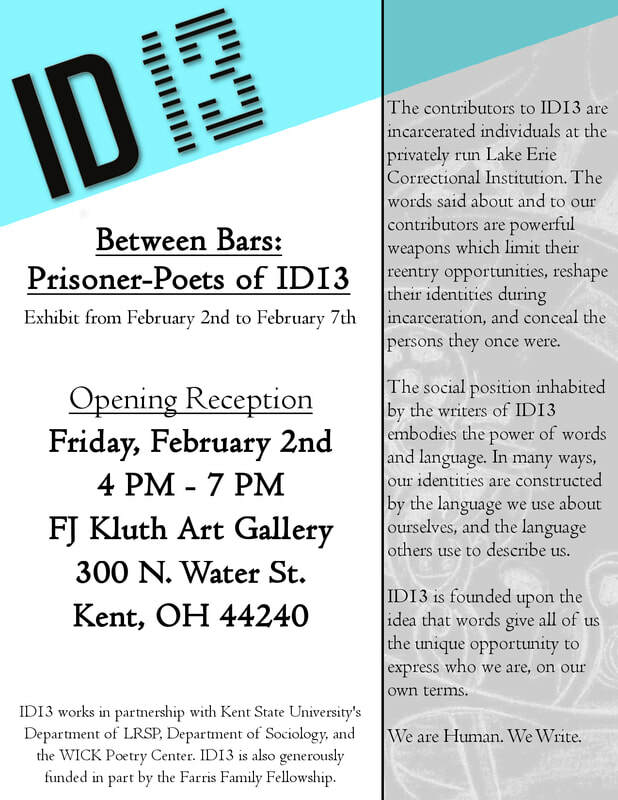 Below are some pictures of our visit along with a video of ID13 co-founder Chris Dum reading Aaron Kiousis' poem, "Language to Me." We used this piece as a framework for our discussions and writing activities. The kids had a lot to say about ideas surrounding language, identity, culture, and home. We're looking forward to more collaboration with ASIA and ICEP! 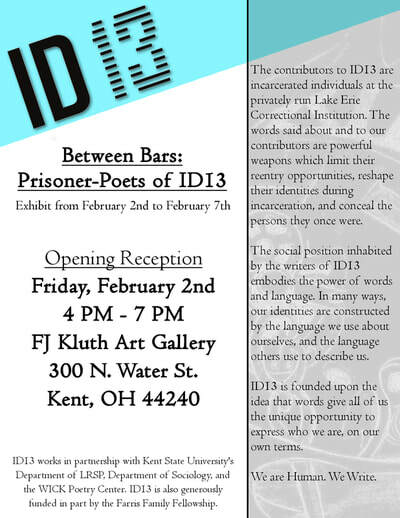 Three local poets delivered powerful readings of ID13 work at this joint benefit show for Kent Books to Prisoners and Akron Food Not Bombs. 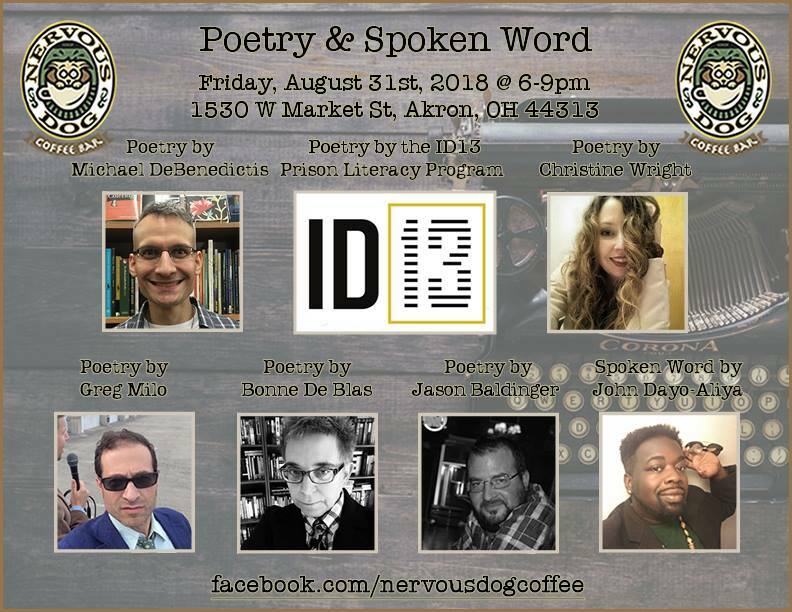 Check out the video below for a glimpse of the night, accompanied by Steve Brightman reading Wesley Dirmeyer's This Song. You can also view a playlist of readings from the event by clicking here. 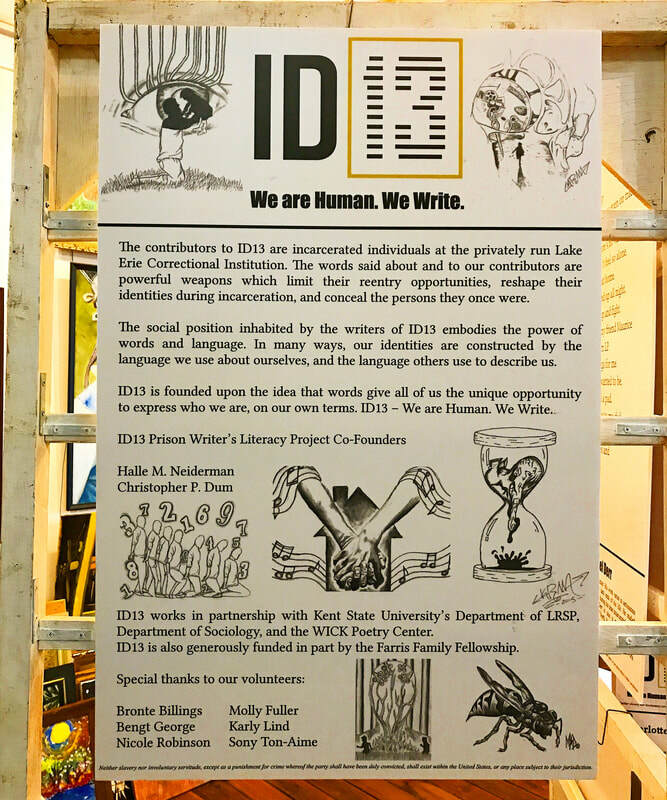 February marked our first public art exhibit and the unveiling of our ID13 posters, which each include poetry or artwork plus a bio by one of the ID13 contributors. In the spirit of breaking down barriers, the ID13 participants had written messages for visitors, who in turn were able to provide feedback on their work. Click here to read local media coverage of this event.